Farm holidays are ever popular with families and couples keen to escape to the country and enjoy a taste of rural life. Rent a self catering country cottage on a farm and where you family can discover the farmyard, animals in fields, the big red or blue tractor and what the countryside has to offer. Staying on a farm can be appealing if you just want to spend some relaxing time in the beautiful British countryside. A cottage for 2 on a farm also appeals to couples looking for a rural weekend escape. Children never tire of feeding animals and meeting the chickens, ducks, sheep, goats, cows, pigs and other farmyard characters. 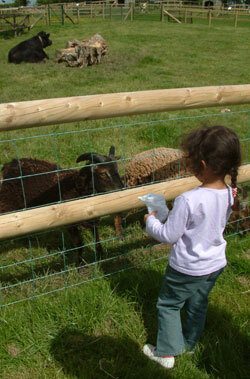 Children can help feed the animals with some farm holidays. The level of interaction with the animals, farmers and farm life will vary from one farmstead to another so do read about each and decide which are the best farm holidays for your children. Do pack welly boots because farmyards can be muddy! A holiday on an organic farm in the UK could result in lovely farm fresh produce for breakfast in your cottage. Sizzling organic British bacon and sausages - what a great start to your holiday in the country! If you're seeking a rural retreat, take a look at these rural country cottages. You may want to stay on a working farm where cows graze in the fields, or an organic farm where you can pick apples or fruit? Other popular options include breaks on rustic smallholdings where there may be just a few chickens and geese and arable farms where there are only crops being farmed but no animals. Whatever type of country holiday you're looking to experience, there is an option out there for you! Accommodation on farms is typically rustic but of good quality, and in most cases holiday cottages were originally dairy buildings, barns or cow byres. You may wish to combine a farm stay with a coastal location for optional days at the beach, in which case, a farm cottage holiday in the Isle of Wight would be perfect. 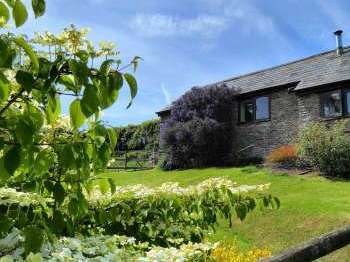 Explore farm cottages in the Cotswolds and other areas of outstanding natural beauty such as the Isle of Anglesey in north Wales where there are plenty of farm cottages available to rent for self-catering holidays. 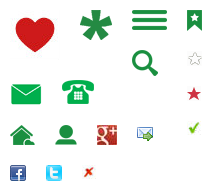 See the below for farmstays throughout the UK. Farm holidays don’t have to mean compromising on style and luxury. There are plenty of cottages nowadays with luxury touches. Find Farm Cottages for Luxury Holidays and choose from options like 5 star cottages, award winning properties and even holiday homes with access to a hot tub or swimming pool. Whatever type of farm holiday you choose to book, whether a stay in a rustic barn conversion, a holiday lodge or a farmhouse rental, we hope you find the perfect holiday accommodation for you on Country Cottages Online and that you have a fabulous break in rural Britain.